Raising more than $90 million by bringing together private industry, regional governments, and local stakeholders, Ignace Schops led the effort to establish Belgium’s first and only national park, protecting one of the largest open green spaces in the country. The province of Limburg in northeastern Belgium contains large woodlands, extensive pine groves, flowering meadows and many rare and unique animals. Since 1901, when coal was discovered in the region, the amount of open space has dwindled, making way for industrial and community infrastructure to support the population employed by the mines. For almost a century, the coal industry thrived in Limburg, but in 1990, the area’s seven mines closed, leaving 40,000 people unemployed. The region around the old mines, a highly industrial and densely populated area owned by the government, is adjacent to Hoge Kempen, an area within the province that has retained its natural beauty, despite nearby development. Following the closing of the mines, jobs were badly needed in the region and several corporations wanted to build factories in the Hoge Kempen. However, very few precious open spaces remained in the province and a conflict arose between conservation and development. In response to pressure from industry, the largest coal company and the largest NGO for nature conservation in Belgium, Natuurpunt, founded Regionaal Landschap Kempen and Maasland (RLKM) in 1990. Their goal was to conserve the land in the province and continue to provide jobs and economic development. Through his engagement in nature conservation and his field study on herpetology (amphibians & reptiles), Schops began to see that nature conservation and biodiversity could be helped with a different, progressive approach based on enthusiasm and connectivity. In 1997, Schops and a group of friends began working with RLKM to campaign for permanent protection of a piece of the Limburg landscape through the creation of Belgium’s first national park. They believed that the park could provide jobs and revenue through eco-tourism, as well as conserve open space for the future. Since beginning his work in conservation in 1990, Schops had built a network of politicians, including mayors, parliament members and ministers who were willing to work with him. For six years, RLKM, Schops and his friends lobbied the government and funded the national park campaign. Under Schops’ leadership, over the next four years, more than $90 million was raised from sources such as the Flemish government, the European Rural and Regional Development Fund, municipal and provincial development funds, the European Union, local stakeholders and the private sector. Many of the funds he secured were new funding sources for nature conservation and sustainable development that had not yet been utilized. In 2002, the minister of environment agreed to protect the area if a master plan was created and funding was secured. In 2004, Schops became director of RLKM and has spearheaded the final steps to securing the park’s future. 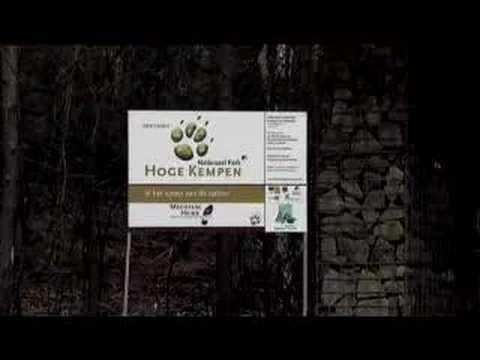 In early 2006, the Hoge Kempen National Park was officially opened by the European Commissioner for Environment. It has become a source of inspiration for environmental protection in Belgium. More than 6 million people live within one hour’s drive of the park, and since its opening 400,000 people have visited. The projected economic revenue generated by the national park after operating for five years is $48 million per year. The park has created 400 jobs for the local community and has conserved nature and brought economic revenue to the region. Five gateways to the park have been established. Car parks, camp sites and information kiosks are being built, and walking and bike trails have been developed. Souvenir stores and a cafeteria have been completed as well as shops to rent and purchase hiking and bicycling equipment. Additional attractions are planned over the next three years for increasing revenue, while still maintaining free entrance to the park. The first and only national park in Belgium, it contains nearly 6,000 hectares and stretches across six municipalities. The World Conservation Union (IUCN) plans to use Schops’s model of creating and funding the national park as an example for other member countries, not only in Europe but around the world. His model demonstrates how a successful public-private partnership in the use and management of nature can be an asset for local and regional development. Schops, as the director of RLKM, will oversee the management of the park and its continued development, and other conservation projects in Belgium. Ignace Schops, receiving his award at the 2008 Goldman Prize ceremony. 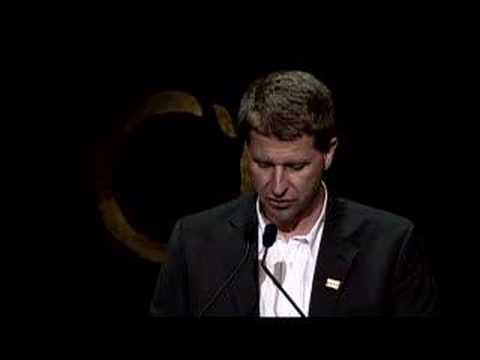 Ignace Schops, accepting his award at the 2008 Goldman Prize ceremony. Ignace Schops, 2008 Goldman Environmental Prize Recipient for Europe (Belgium). Ignace Schops, 2008 Goldman Environmental Prize Recipient for Europe (Belgium) with Ouroboros statue.